This week I am featuring one of my favorite artists and online friend, Meg Newberg. Meg has joined us here on the blog several times. Her ingenuity and love of polymer clay canes are truly magnificent! She will be joining us 3 times this week to share her love of clay & polymer clay millefiori canes. 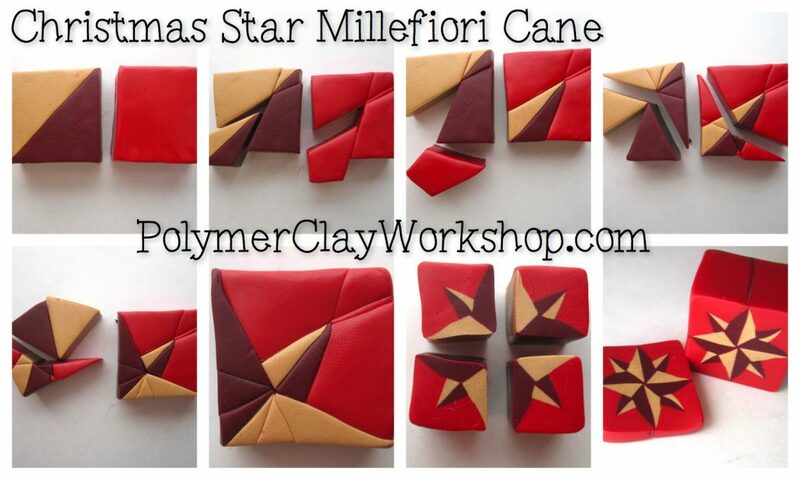 Today she’s sharing a polymer clay cane tutorial just in time for Christmas. Not only is Meg extraordinarily gifted in created with polymer clay canes, she is also a wonderful person, inside and out. She has a knack for making polymer clay caning look easy. Not only that, but her sense of what “works” in blends and creating canes is phenomenal. I’ve never asked her, but to make some of her gorgeous canes, I think she mastered geometry! Not only is Meg super sweet, but she has her own studio where she gives lessons to aspiring artists. I wish I lived closer to her, I would take lessons every week! Do you enjoying caning? I have tried many canes … some succeed and some fail. But over the course of the last year I have challenged myself to make one NEW cane a month. Tomorrow we’ll be joined by Meg to talk about an exclusive ezine she has for polymer clay cane artists. Even though I have not yet mastered canes, I am hoping to one day … if only you lived closer Meg, perhaps this would not have happened to me…. I am STRUGGLING reducing Triangle canes. I just can’t get this right! ARG!!!!!!! Beyond frustrated at this point. 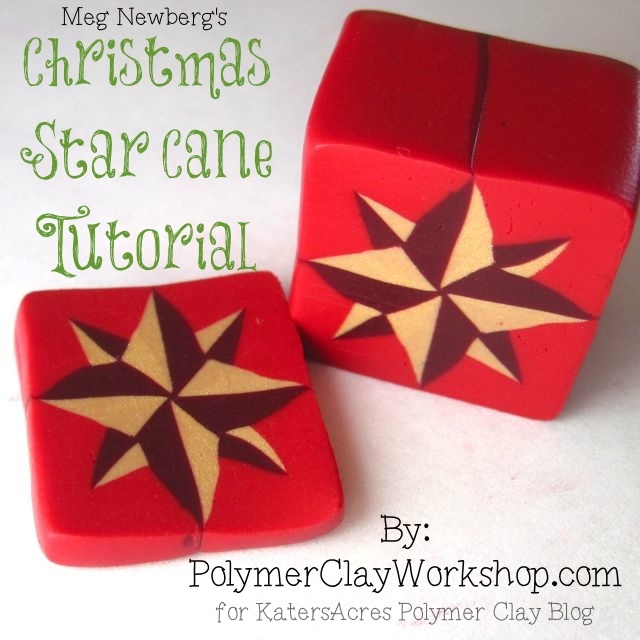 Because Meg is so sweet, she is sharing a polymer clay picture tutorial on how to create this really gorgeous Christmas Star cane. Thanks Meg – you are awesome! PS: This cane is easier than it looks! Join us tomorrow to get MORE from Meg Newberg!